There is a choice – and the choice is big enough. As usual, you have to limit yourself with some limits – to list all the smartphones is not possible, otherwise the article would have been just endless. Therefore, a total of ten devices (one alternative for each item), the models are all relatively fresh (about smartphones two or three years ago don’t remember), and have to use the good old art of compromise. Still, not being able to sacrifice something to save impossible. Operating system: Android 6.0 (proprietary shell Flyme OS). Display: 5.5 inch, 1920 × 1080. Platform: MediaTek Helio P10 MT6755M (eight cores ARM Cortex-A53 (4 × 1.8 GHz + 4 × 1.1 GHz). Two SIM cards and a separate slot for memory card. 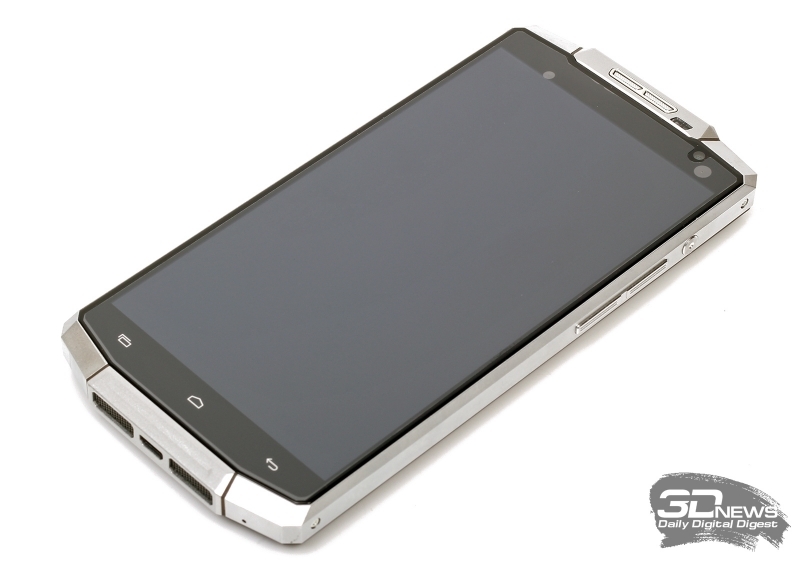 Average price: 990-9 8 990 rubles for the version with 16 and 32 GB (“gray”); 14 000-18 000 (official). 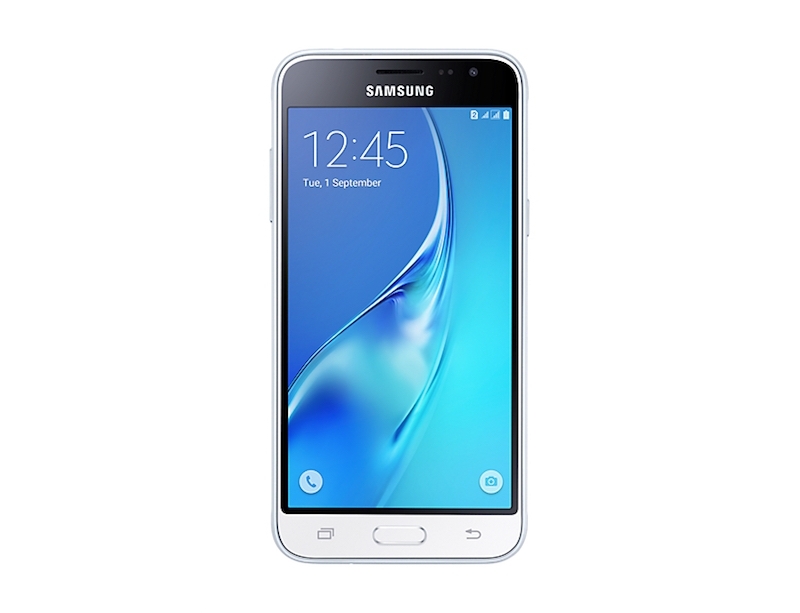 Why buy: excellent performance, Full HD display, a fingerprint scanner, a well-known brand. What can stop: ten thousand cheaper than I can find only smart phones, supplied through informal channels. 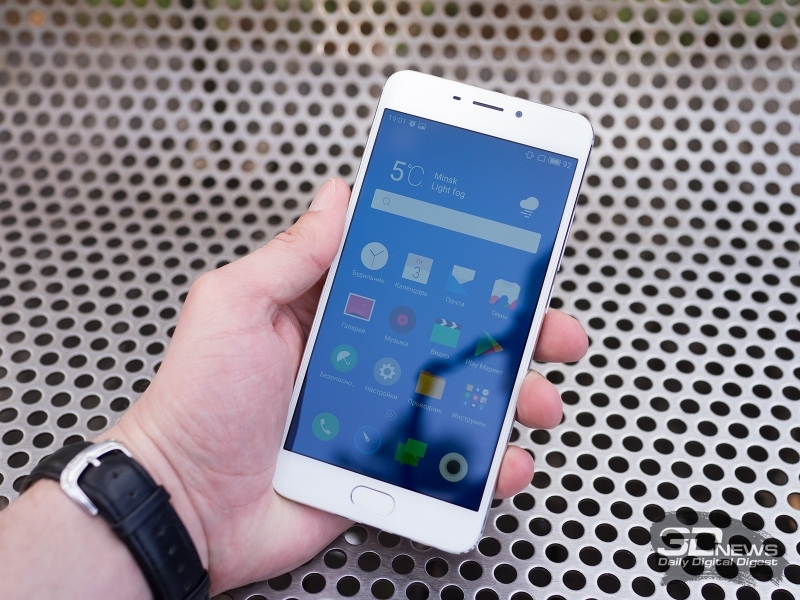 This year the title of “Creator-in-chief of “gray” smartphone” can be split between Meizu and Xiaomi. About Redmi will be discussed below, but generally the main favorite of 2017, in my opinion, M5 Note. Metallic, slightly brutal case looks great – it’s hard to believe that this is a smartphone for less than ten thousand. There is a fingerprint – and on the front button, “as large”. The MediaTek platform P10 may not Shine in comparison with the Snapdragon 625, but with all the basic tasks a smartphone to cope confidently. You can play, if not to demand the highest quality graphics. The display not only that, with a Full HD resolution, and is configured adequately. The problem – only that it is necessary to look for the “gray” tube. Supply through official channels Meizu M5 Note are almost twice as expensive and do not fall in our ranking (and look at the background of competitors is not so attractive). Video alternative: Meizu M5. The screen is smaller (but not much, there’s a 5.2’) with lower resolution (HD vs Full HD), the platform easier (MediaTek MT6750), the less RAM… the Usual thing when you want to save all cut. Is that from the battery works longer. Well, Yes, of course, if you catch a discount and look – you can find cheaper 10 thousand of “official”. Operating system: Android 6.0 (proprietary shell MIUI). Platform: Qualcomm Snapdragon 625 MSM8953 (eight cores ARM Cortex-A53 (8 × 2 GHz). Dual SIM card, with the second slot of the combined connector for a memory card. Average price: 8 000-11 000 (“gray”); 12-14, 000 (official). Yes, I copied the pros-cons of the previous candidate. But they are certainly not absolutely equal – Xiaomi Redmi 4X has an advantage in performance (Snapdragon 625 all, perhaps, is my favourite from the platform) and the quality of the display matrix, but Meizu for my taste, wins in the camera’s setting and in terms of design. The rest is birds of a feather, to choose between them really difficult. Our reviews (links are in the headings, lead them) to help you. The situation with “grey” and official deliveries and price difference from Meizu and Xiaomi are also very similar, but with a couple differences. First, official official M5 cheaper Redmi Note. Secondly, the Russian distributor of Xiaomi is clearly intended to deal with the “left” of supply and procurement in Chinese stores more active than Meizu. So the situation is twofold. Video alternative: Xiaomi Redmi 4. A very similar situation and alternatives (small deterioration in all parameters, but the “breaks” in the rating, if we take the official prices) – except Redmi 4 display is less than the Meizu M5, but a bigger battery. Operating system: Android 7.0 (out of the original shell). Display: 5 inches, 1280 × 720. Platform: MediaTek MT6737 (four cores ARM Cortex-A53, frequency 1.3 GHz). Dual SIM card, there is a separate slot for memory card. Average price: 9 990 rubles. Why to buy: pure Android Nougat, it’s Nokia. What can stop: normal characteristics. 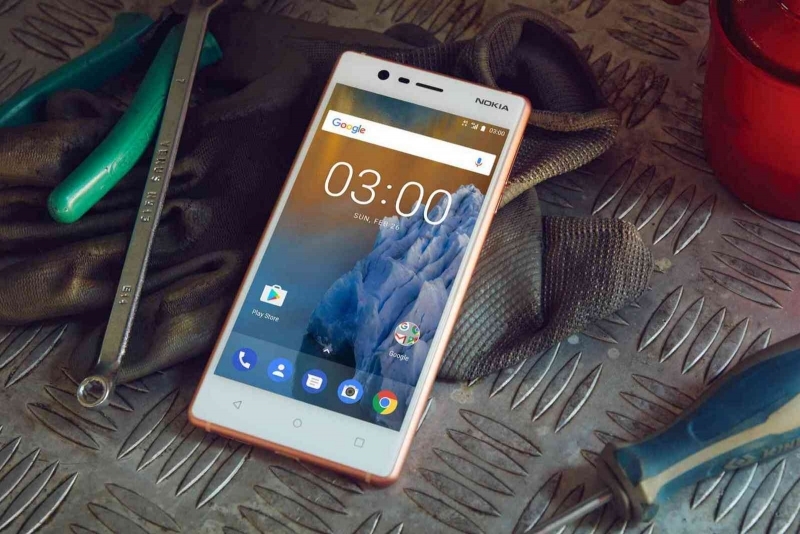 Company Global HMD designed specifically for the return of the Nokia brand in the consumer market, has finally unveiled its first smartphone. And the younger of them, Nokia 3, was so cheap that he was in our rankings. Yes, primarily for the name and partly for the “beautiful eyes” (design and truth nothing). But not everyone here (or rather, almost no one) can boast of a pure Android latest version is completely free of impurities. Not only that, there is no shell, and proprietary software is absent. Ah, grace! Otherwise this is a pretty typical budget smartphone sample 2017: core platform MediaTek, HD screen, plastic case. No fingerprint scanner, not some branded chips. But cherished five letters on the back panel, which is still for many that mean so very much. Direct alternative to the Micromax Q4310. The Indian variant with similar key advantage (pure Android Nougat), but with Gorilla Glass 5, a fingerprint scanner, a large amount of RAM… But without legendary stories for the soul. And with optional pre-installed Micromax apps. Few people likes to decide something for him. Operating system: Android 6.0 (with a proprietary shell). Display: 5 inches, 1280 × 720, Super AMOLED. Platform: Spreadtrum SC9830 (four ARM Cortex-7, 1.5 GHz). Two SIM cards, a slot for memory cards. Average price: 8 000 rubles. Why buy: brand, AMOLED display, downloads. What can stop the weak features, a mediocre camera. This is one of the most popular smartphones in the world – how can you pass up it? Even if there is a platform Spreadtrum (you also surprised?) and just a half Gigabyte of RAM, and the only advantage of the main camera, we can assume that she knows how to shoot. But in an asset of the cute design, the brand and the AMOLED display. The last is, perhaps, the main advantage of last year’s J3. Why the ranking is not a new J3, introduced in June? Happened to him an interesting story – at the start of sales it was announced with a suggested price of 9 990 rubles, but in just a month… he has risen and now stands in the official store Samsung for 13 thousand rubles. While it has an ordinary LCD display- so not really a pity! Even if it is noticeably more powerful, and as a system there Android 7.0. Video alternative: LG K8. Fans of other Korean brands also have something to intercept in the budget segment. K8 have a better platform (MediaTek MT6735), more internal memory, but less RAM and the regular screen, but the design is not so attractive. Operating system: Android 6.0 (proprietary shell HTC Sense). Platform: Qualcomm MSM8928 Snapdragon 400 (Quad core Qualcomm Cortex-A7, 1.6 GHz). One SIM card, has a slot for a memory card. Average price: 10 000 rubles. Why buy: the design, the spirit of the good old two thousand. What can stop ordinary features, one SIM card. The choice is “aesthetic of slums”, decadent smartphone for those who remember the days when HTC menacingly shaking a Shoe from the podium. However, now is not all lost – even Nokia is back, and the Taiwanese and didn’t go anywhere: still continue to produce a very nice appearance smartphones. Of course, daring to the Chinese, who is that 800-e “Snapdragon” in their budget machines are not set, characteristics of this smartphone is not afraid. 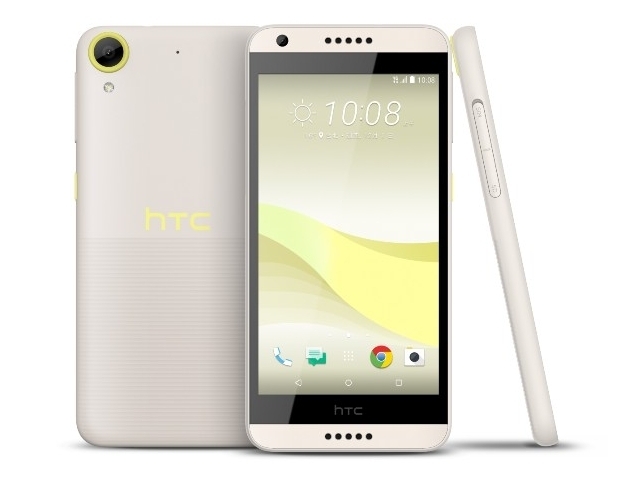 But if you the speed of performing basic operations is not so important, Desire 650 can be considered as an option. The bonus is good by the standards of the class camera, stereo speakers and great proprietary shell – no longer by far the best, but still keeping himself in shape. Video alternative: Sony Xperia E5. Another decadent camera – Sony had threatened to do only premium smartphones, but the small door to the world of budget handsets left. E5 hiding behind it – a very moderate features it combines the charm of the original shell again. Although Desire, of course, fashionable. Operating system: Android 6.0 (with a proprietary shell MiFavor UI). Display: 5.2 inch, 1280 × 720. Platform: Qualcomm Snapdragon 425 MSM8917 (four cores ARM Cortex-A53, 1.4 GHz). Average price: 9 000 rubles. Why buy: nice design, decent performance, official delivery. What can stop the thousands of apps in the shell, the weaker the “gray” of the Chinese. A very good option for those who are afraid to contact “gray” machines and thus are willing to pay for a logo And brand the extra couple of thousand. However, ZTE, to put it mildly, cannot be called an unnamed company is one of the largest Chinese corporations. The smartphone could be a pleasant surprise with its performance – Yes, there is a metal body, but this is not a typical budget “remnant”; in the specifications also have some balance – Yes, the Snapdragon 625 swing developers is not enough, and the camera is not trained to shoot in the dark, but power is sufficient in order not to feel discomfort when using. Video alternative: Honor 5A. Without eternal rivals from Huawei about ZTE Chapter would be incomplete. 5A Honor, frankly, inferior to the ZTE Z10 in almost everything except camera and shell. A much more serious competitor looks to Honor 5C is truly a wonderful machine, but it is literally for 500 rubles is not fit in terms of selection. Display: 6 inch 1280 × 720. Platform: Qualcomm Snapdragon 210 MSM8909 (Quad core Qualcomm Cortex-A7, frequency 1.1 GHz). Why to buy: a very large display. What can stop the weak filling, obscure the camera. For those who do not accept compromises, at least in the display sizes. Six-inch units at a price below ten thousand – times-two and obchelsya. 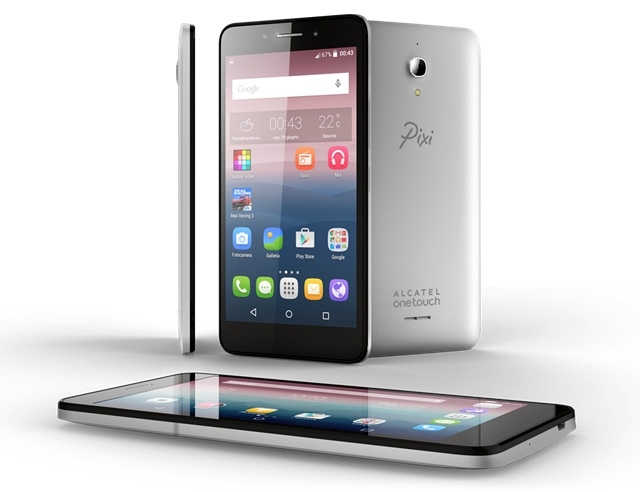 And Alcatel with a very peculiar name Pixi 4 (6) – not to be confused with Pixi 4 (5) – one of the most worthy of them. For the big screen will have to endure a very weak processor and little porazglyadyvat grain in the picture. Well, that time of displays with resolutions lower than HD, are already in ultrabudgetary segment. While Pixi 4 (6) fairly long lives on a single charge batteries for devices with such display sizes, happy a sufficient set of communication features and does not force the user to survive in the event of a breakdown – along with the official comes official guarantee. Video alternative: Oukitel U16 max better exactly for all parameters, except display resolution (exactly the same), but a little more expensive, heavier, and deprived the official guarantee. We have had at least somewhere to keep daring inhabitants Aliexpress and give place to the representative of offline retail. Operating system: Android 5.0 (with a proprietary shell). Display: 5.5 inches, 1280 × 720. Platform: MediaTek MT6735P (four cores ARM Cortex-A53, frequency 1 GHz). The flash memory of 168 GB. Average price: 8 500 rubles. Why is worth buying: 10 000 milliamp-hours. That can take a large and heavy body, huge battery is used inefficiently. Legend forums, the dream of prudent lovers of Chinese iron, the most obvious choice for those who rarely encounter in their lives outlet. Oukitel K10000 glorified little-known Chinese company – and she knew that it would. Paste in your smartphone battery with a five (milliampere-hour) capacity is the right step to glory. Touch it not without a certain charm – both brutal and kind of Chinese ridiculous. Performance K10000 does not Shine, but, despite the fact that the device is already not the most recent, it is not too far behind from most of the collection smartphones. To keep from buying it is the fear of informal supply, the well-known instability Oukitel in terms of quality, and of large size smartphone. No miracles do not happen – a big battery and weighs a lot. More than three hundred grams in your pocket – but a few days. Video alternative: ASUS Zenfone Max ZC550KL. The battery two times less capacity! What is the alternative, you are kidding! Do not rush to be indignant – on Max autonomy Zenfone inferior not as much as on the capacity of the battery. But the official delivery, stable quality and weighs a hundred grams less. However, the filling is the weaker – that is what it is. Display: 4.7 inch, 1280 × 720. Platform: MediaTek MT6735 (Quad-core ARM Cortex-A53, frequency 1.3 GHz). Protection against water and dust IP68. Why buy: the protected case looks brutal, it’s not enough. What can stop: small display, unstable quality. Where are we in such a collection but without a handsome man in a rubber bumper, which you can throw, kick and drown in the river! By the way, this year features for such devices began to otpravlyatsya and not lag behind for several years by “wimps” in the usual case. 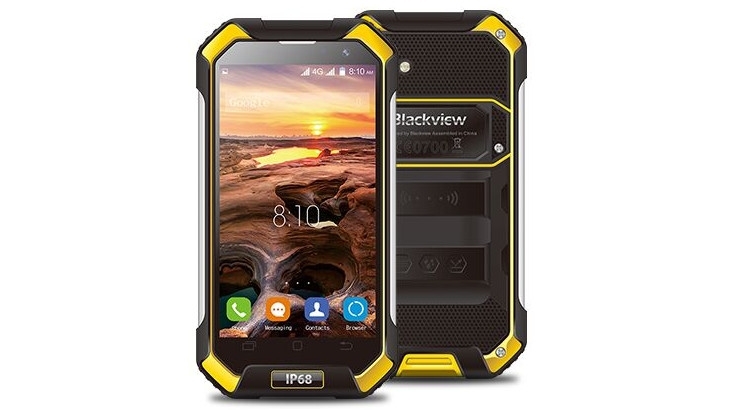 Buyers, however, complain that the devices Blackview can, and can withstand immersion under water and falling from a height of human growth, but regularly refuse to work right out of the box. What to do in this segment such problems occur. Video alternative: DEXP Ixion P245 Arctic. It would seem, here it is, twin brother! But no, he’s a little more expensive, but weaker characteristics, and the battery a third less capacious. Platform: MediaTek MT6737T (four cores ARM Cortex-A53, 1.5 GHz). Camera: double, 13 + 8 MP. Average price: 9 900 rubles. Why buy: dual camera, Full HD display. What can stop: a little-known brand. And finally, a sign that it is now 2017 – we have in the collection two-compartment smartphone at the price of push-button tube (okay, so cost is only expensive push tube). Two cameras work “Huawei”: optical zoom, but there is (in theory) decent dynamic range and decent shooting in low light conditions. As a bonus – a large display with Full HD resolution. The trick, it would seem, is obvious – it is necessary to order this smartphone from the Chinese store and hope that you wouldn’t be defective. 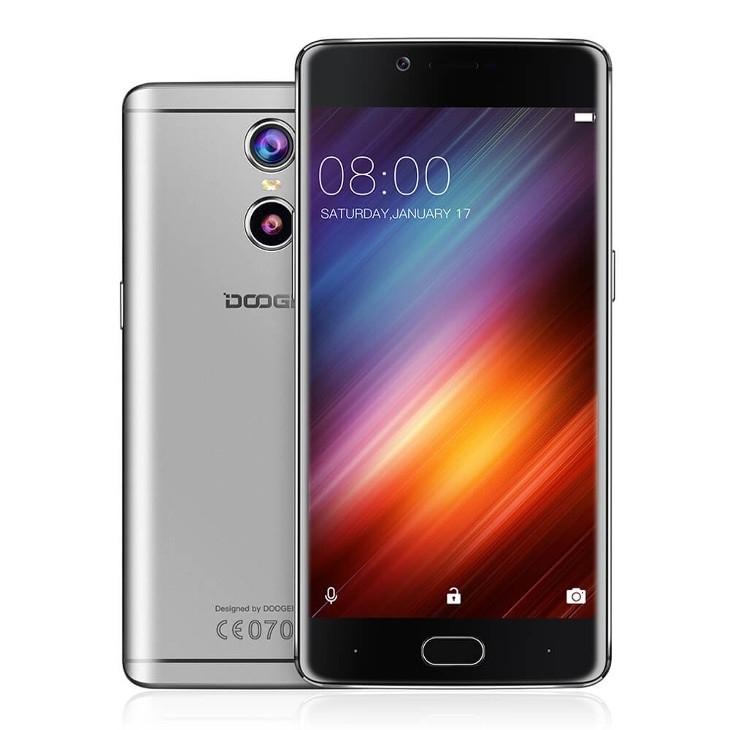 There it was, Doogee entered the Russian market officially, you can go and touch the device in retail alive. A viable option for the non-conformist who is not afraid of little-known names. Video alternative: UMI C Note. Well, not quite straight – there is only one back camera. But the same platform the display with identical characteristics and pretty design, twice the flash and half the RAM. All this for a thousand rubles cheaper! But, you guessed it, it is necessary to order from China.